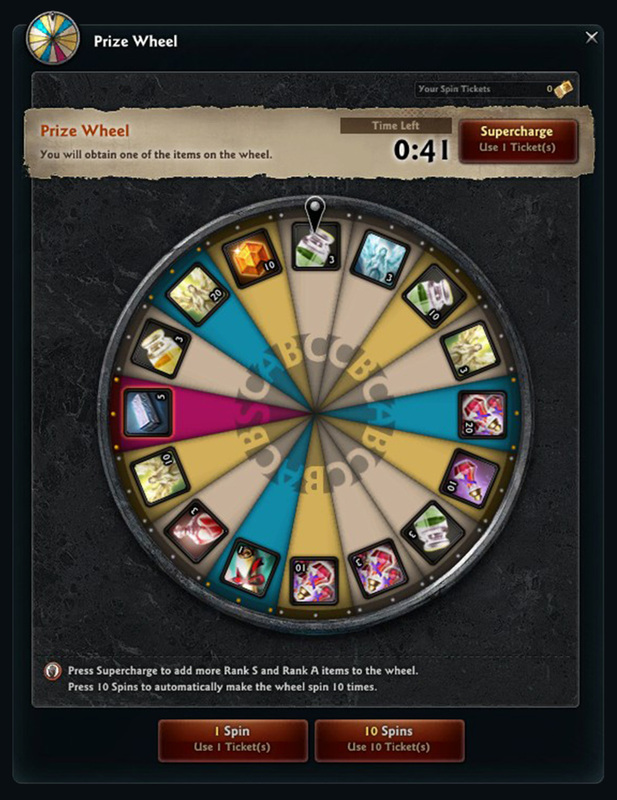 Have a go with the Prize Wheel and claim your lucky prize! You can obtain [Item Restoration Spin Ticket] x3 when you complete all daily missions. You can purchase the [Item Restoration Spin Ticket] from the Supply Depot (No maximum purchase count limit). You can spin the prize wheel by using 1 ticket. You can Supercharge by using 1 additional ticket. 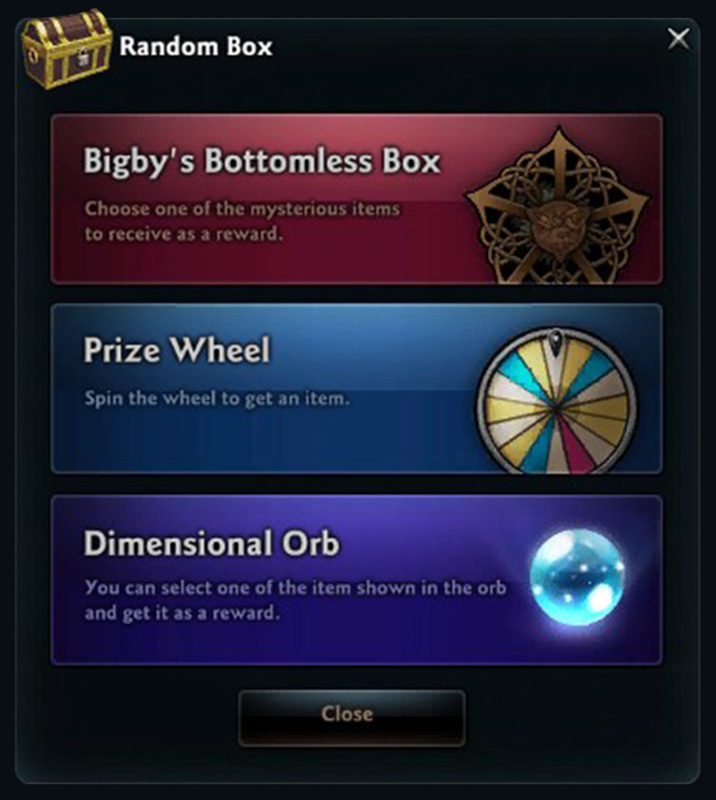 How to access the Prize Wheel: Right-click or go to the bottom 'Menu > Random Box > Prize Wheel' to use. Participation Conditions: Characters at Lv. 90 or higher. When completing 1 Season 3 Raid Battle, you can obtain [Mysterious Energy] x1: Can obtain up to 4 on weekdays, and up to 10 on weekends and holidays. You can make [Mysterious Energy] x5 into [Mysterious Coffer] (Quick Crafting): You can get 2 AP when you sell a leftover [Mysterious Energy]. A special coffer that contains valuable items. They say that the luckiest souls out there can find a Gold Bracelet within. * Caution: All contents except for the bracelets will be bound to the character.